Wes Anderson, more than any other filmmaker right now, is fully dedicated to his style and injects that into every frame of his movies. All you need to do is look at one still from his movies and you can tell it’s a Wes Anderson production. From the framing of a shot to the camera movement that always puts the action in the center of the shot, to the strange almost pale or autumn color scheme, to the unique deadpan humor where every line is delivered like it’s their last words, Anderson takes his identity and puts that at the center of the stage. He is not just an artist, but an modern-day auteur. Sometimes this works out well, like in “The Royal Tenenbaums” and “The Grand Budapest Hotel,” while other times it comes across as forced, like in “Moonrise Kingdom.” But the best example of Anderson’s creative genius has to be when he tried his hand at animation with “Fantastic Mr. Fox,” where he treated every little detail, including the backgrounds and outfits his animated characters wear, like a work of art while still keeping it within his typical style. The film takes the limitless imagination of animation and gives Anderson free control to create an new world as if it were his canvas. 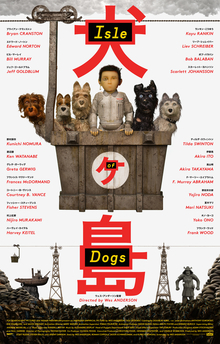 So imagine my joy when I find out that Wes Anderson was doing another stop-motion animation film, “Isle of Dogs,” only this time it would be an original idea, and it would be a celebration of Japanese culture and Akira Kurosawa films. The film opens with the long and violent history between cats and dogs, and the people who sided with each animal. One family that tried to eradicate dogs altogether was the Kobayashi clan, almost succeeding until a boy samurai stepped in and put an end to their reign. Cut forward to a dystopian future in Japan where Mayor Kobayashi (Kunichi Nomura) has declared that the latest epidemic of dog flu has reached the point where it could start spreading to humans. For the safety of the country and the world, the mayor declares that all dogs in Japan must be relocated to a far-off garbage island. 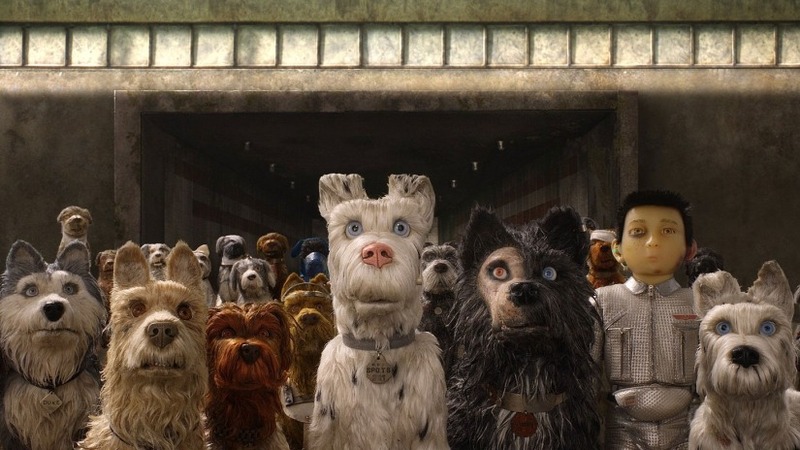 “Isle of Dogs” is built upon Wes Anderson’s interpretation of the Japanese culture, including their style of Noh theatre, classic Japanese water paintings reimagined with dogs and cats beings the emphasis, and haikus that make no sense. Some might say this is disrespectful, but it comes across as Anderson honoring this ancient culture and their traditions while still giving it his own unique spin, like he did with European cultures in “The Grand Budapest Hotel.” This gives the film an even more memorable and unique flavor than we’re used to from Anderson. Most of the humor comes from the deadpan things dogs would say if we could understand them. The film opens up by saying that, while the humans will switch between speaking English and Japanese, all dog barks and growls are translated into English. This leads to most of the dogs talking about rumors they’ve heard, their favorite foods, and their love for “masters.” All of this comes without sacrificing the dry humor of Bill Murray, the crazy ramblings of Jeff Goldblum or the intensity of Bryan Cranston. Basically, Anderson has these actors playing themselves as dogs. 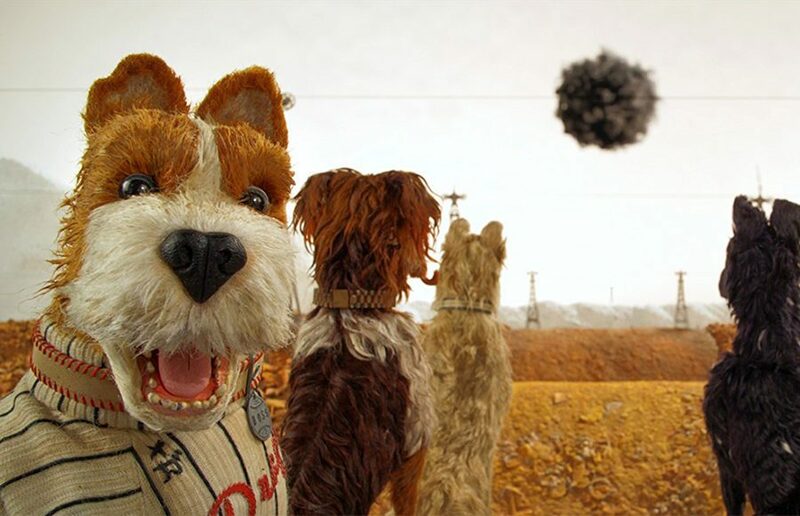 “Isle of Dogs” is the most creative and fulfilling Wes Anderson film to date. The film takes so many different stories related to animation, ancient history and Kurosawa while always feeling like an Anderson picture. For the first time, it feels like he is unrestricted and can use every film trick he’s developed over the years to its fullest potential.